Dale Greenlees, 80, of Fleming he went to be with the Lord at 8:26 am, Friday, August 31, 2018, at his home surrounded by his family. He was born December 28, 1937, in Washington County, Ohio, a son of Hugh Gordon Greenlees and Dorothy Stephens Greenlees. Dale was a graduate of Vincent High School, Class of 1955. 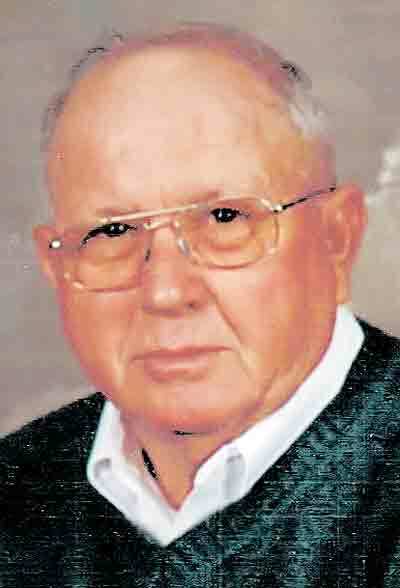 He was employed at Smith Concrete for 38 years and he enjoyed farming and was a lifetime member of the Farm Bureau. On September 22, 1957, he married Shirley Adams who survives with children: Mark William Greenlees of Fleming, Terri (Dave) Arnold of Marietta; grandchildren, Andrea (Adam) Eichhorn and Adam Arnold and great grandchild, Areana Eichhorn and brother, Kenneth (Linda) Greenlees of Fleming, sister-in-law Elspeth Greenlees of Fleming and several nieces and nephews. His parents and brother Donald Greenlees preceded him in death. Funeral services will be held at 10:30am on Wednesday (Sept.5) at Marietta First Church of the Nazarene. Family will greet friends at McClure-Schafer-Lankford Funeral Home on Tuesday from 2-4 and 6-8. Messages of sympathy may be sent to the family at www.Lankfordfh.com. In lieu of flowers, the family would appreciate donations to Marietta Home Health and Hospice, 450 Pike Street, Suite 1-1, Marietta 45750 or The First Church of the Nazarene.